Reveal a Whiter, Brighter Smile by Going Back to Nature with @MyMagicMud! Don't let October pass you by without celebrating National Dental Hygiene Month and switching to a safe whitening toothpaste - My Magic Mud! It is my new favorite toothpaste in my house and I LOVE that I get whiter teeth without artificial or harmful ingredients! My Magic Mud helps you reveal a whiter, brighter smile by going back to nature! Forget artificial and sometimes toxic ingredients to get the white, polished smile you've always wanted. My Magic Mud uses all natural ingredients including charcoal and coconut oil for the best clean and whitest teeth you've ever had and dentists agree. Sometimes you have to get down and dirty to get the best smile you've ever had. 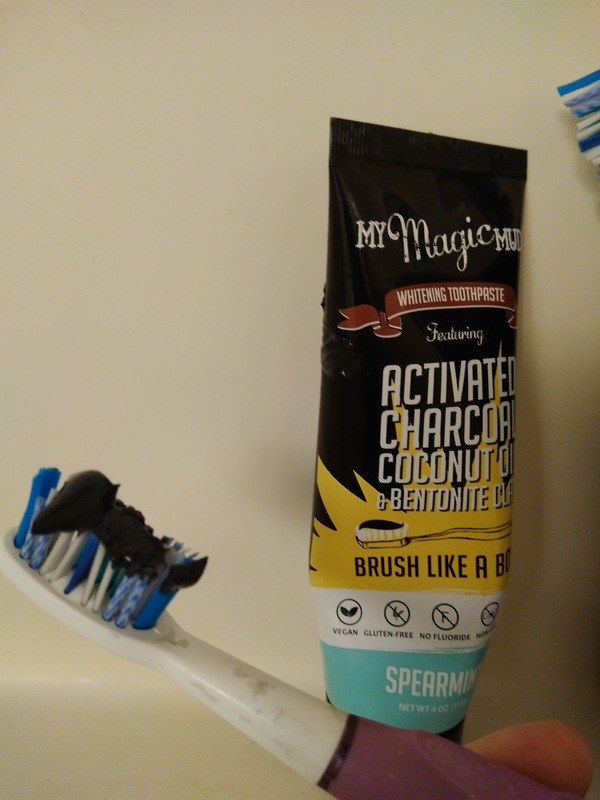 Yes, the activated charcoal and coconut oil in My Magic Mud toothpaste does it all -- for kids and adults! It's the beauty secret of the ages, that mud can make things sparkle. Who knew that a black toothpaste could give you the pearliest white teeth no matter how much coffee, wine or staining foods and beverages you drink and eat?